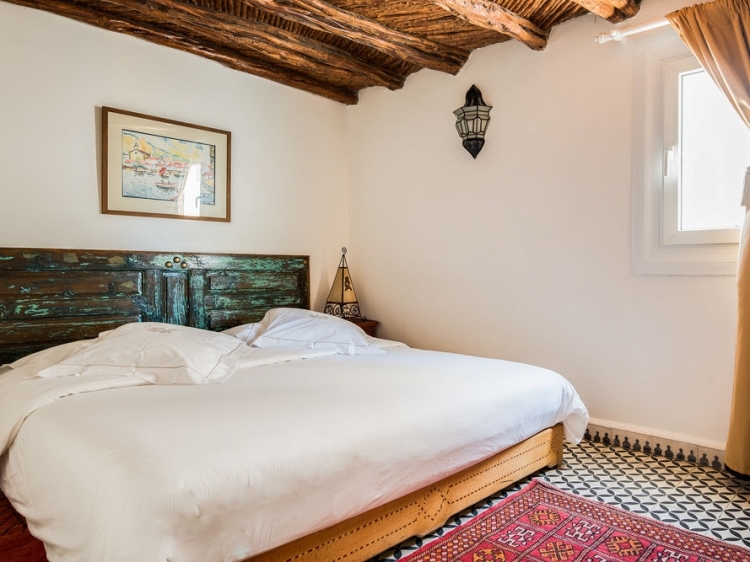 The Ryad Watier experience: a peaceful night's sleep in an oasis of calm, waking up on a sunny morning, taking breakfast on the terrace overlooking the Medina of Essaouira and setting yourself up for a pleasant day enjoying this beautiful seaside town. 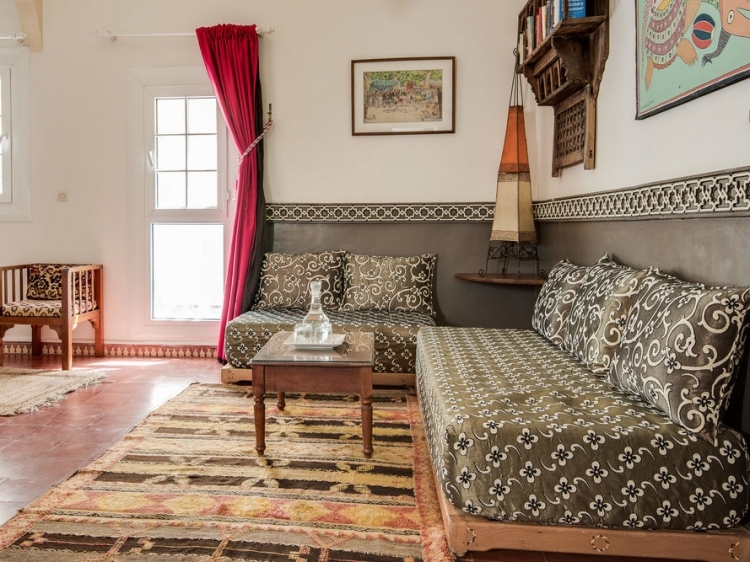 In short, a stay at he the Ryad Watier is an exercise in “slow living”, a place to relax and enjoy Zen like peace. 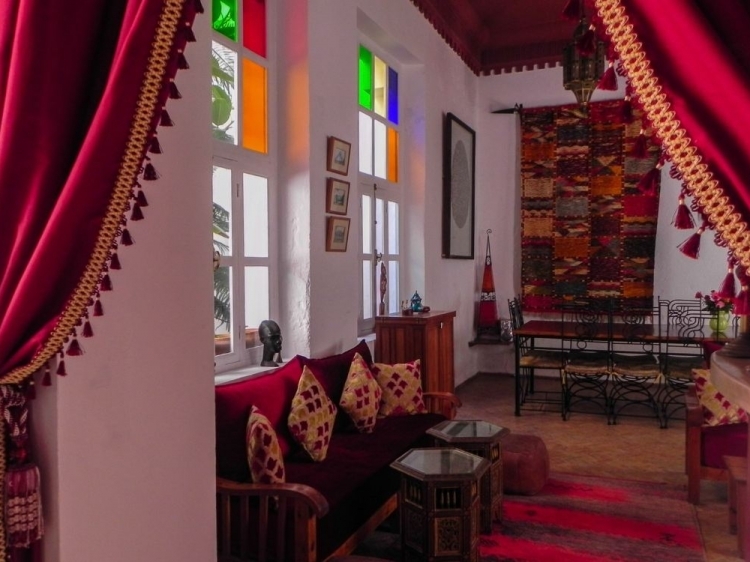 Like this lovely Riad itself says “here slow living is not a fashion or a concept but rather an authentic “art de vivre”. And that's exactly right. Just peace. 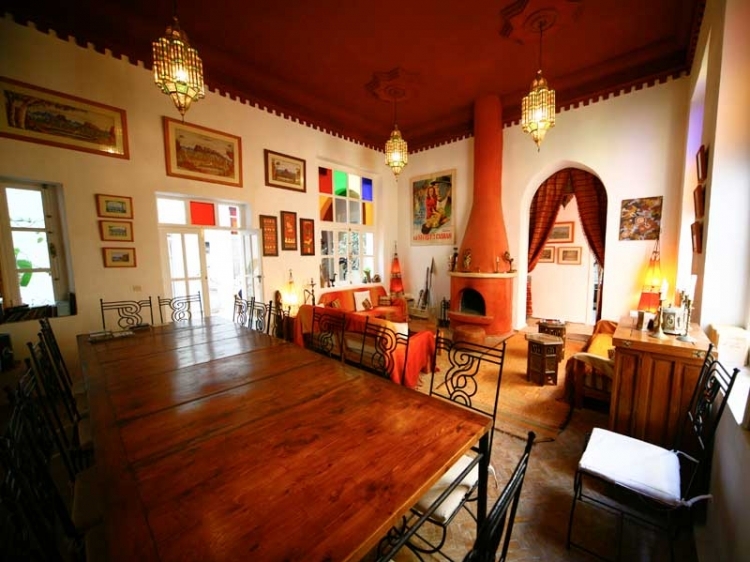 Architecturally, of course, the Watier follows Moroccan traditions. 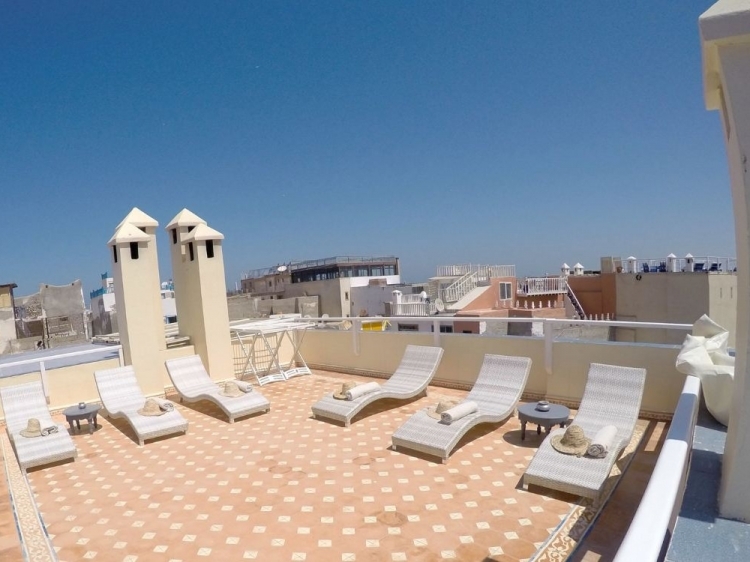 In this particular case, it includes four floors that take you up to two sea-view terraces. 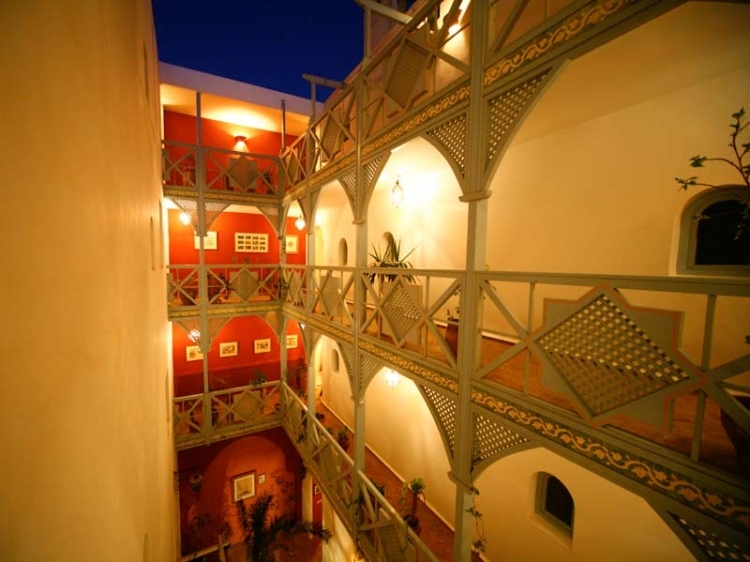 The upper floors are traditionally reserved for communal life (a large dining room and lounge with a fireplace, the garden, a 2000 volume library and the kitchen), the rooms are laid out around the passageways of the inside courtyard. 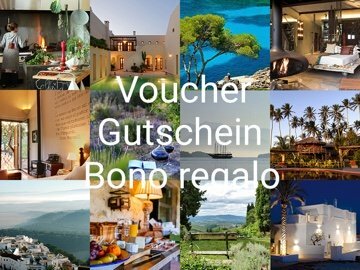 These same passageways also lead to the hamman, the massage room, the garden, the fountain and, of course, the sea-view terraces. 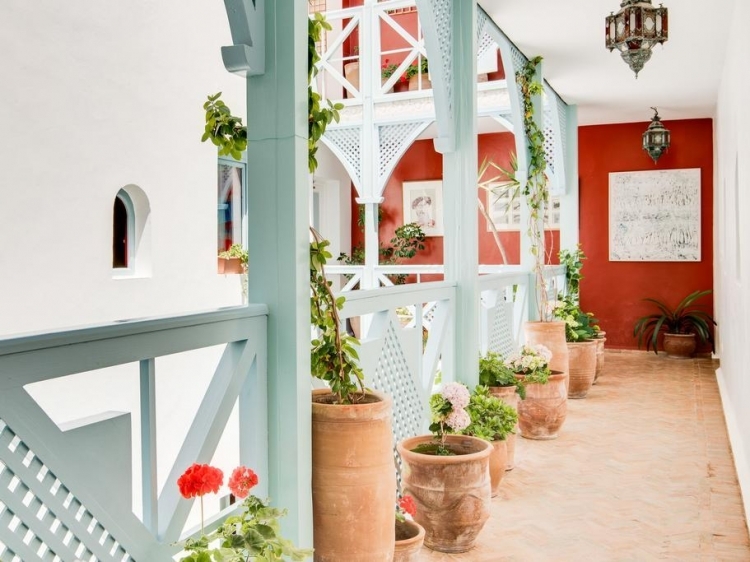 A further interesting distinction of the Riad Watier is that the windows look to the outside of the house and the doors onto the passageway of the inside courtyard are solid. 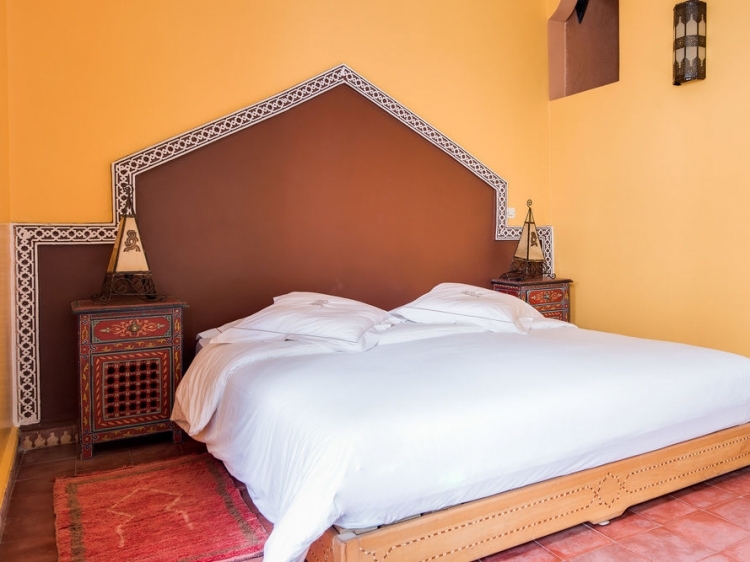 The spacious suites of the Riad are thus laid out to preserve perfect intimacy and to take full advantage of the comfort offered by the layout, the traditional furnishings and the decoration. The suites and master suites are very well equipped (lounge, desk, large cupboards, dressing table, etc.). Toilets are always separate, bedding is of the highest quality and double beds are all king size. 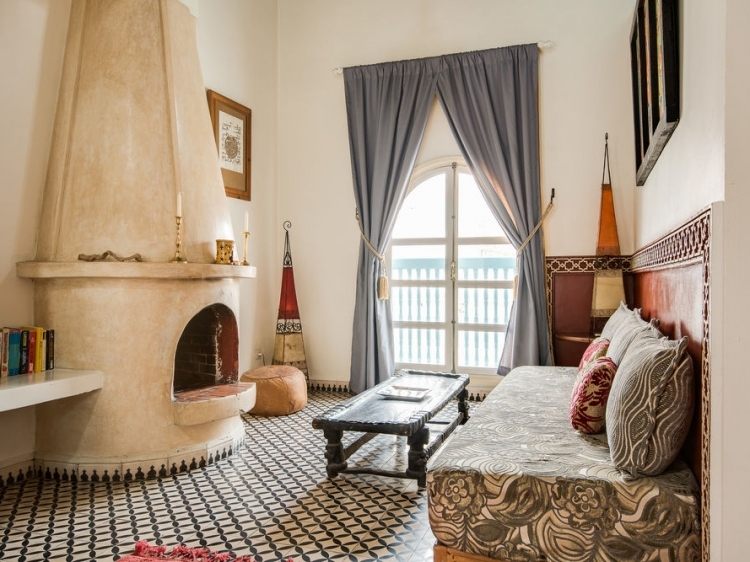 All the suites and master suites of the Riad are fitted with individual radiators and old-fashioned hot water bottles for those cooler winter months. 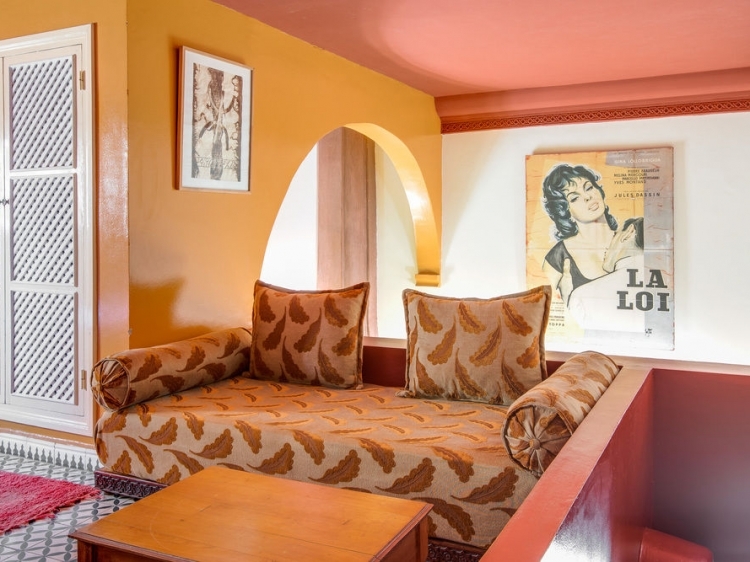 The “arte de vivre” is still alive and well at the Ryad Watier.